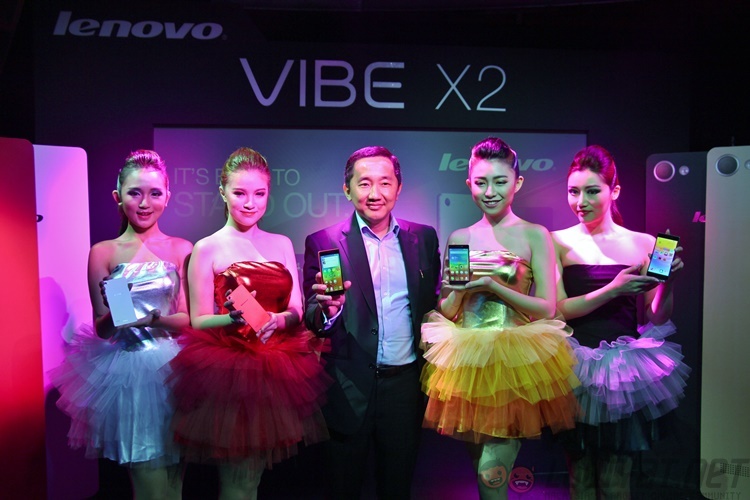 Lenovo Malaysia has just announced the arrival of its latest smartphone, the Vibe X2, to the country. Touted as the world’s first smartphone with a layered design, this mid-range device also packs quite some power under its multi-layered, multi-coloured body. 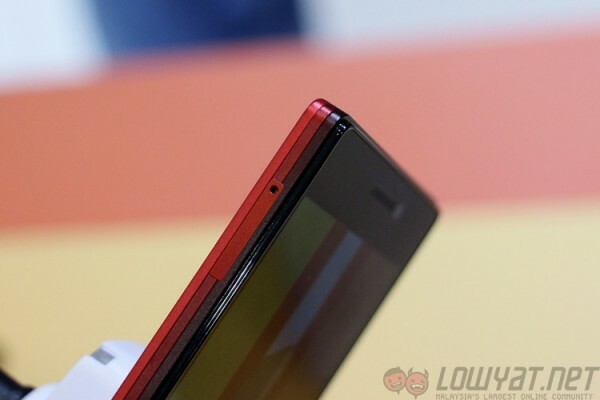 Announced back in IFA 2014 alongside the Vibe Z2 Pro, the Vibe X2 has a design which looks like the phone is made up of four layers of differently-coloured plastic with rounded corners for a comfortable grip. It is powered by MediaTek’s new MT6595 True8Core 2GHz octa-core processor, which consists of four Cortex-A17 cores and four Cortex-A7 cores. 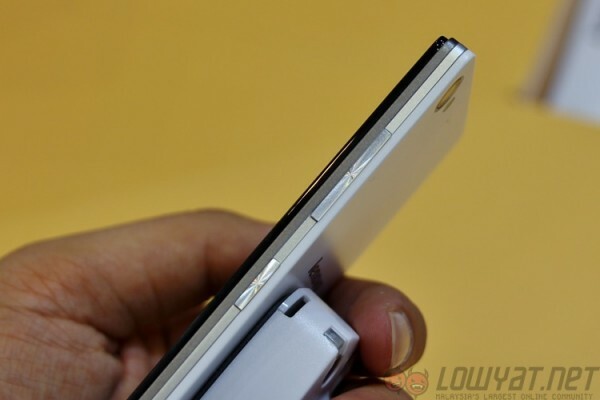 There’s 2GB of RAM, 32GB of non-expandable internal storage and has a non-removable 2300mAh battery. The 120g Vibe X2, which is one of the few dual-SIM , also packs an impressive 5-inch Full HD display and runs on Android 4.4 KitKat. In addition, there’s a 13MP rear camera as well as a 5MP front-facing sensor. Unlike the more expensive Vibe Z2 Pro, however, the Vibe X2 does not have the Pro Camera software for its camera app. On top of that, the Vibe X2 also introduces the new Vibe Xtensions series of click-on cases, which includes the Vibe X2 Battery, which boosts the Vibe X2’s battery by a further 75% while just adding an extra 5.1mm thickness. Besides that, there’s also the Vibe X2 Speaker, which is a Bluetooth JBL speaker, hands-free stand as well as a built-in battery that is rated for up to five hours of audio playback. Interestingly enough, Lenovo prices the Vibe X2 at $399 for its other international markets, which makes the RM1,199 local retail price pretty attractive. The Vibe X2 is now available at all Lenovo retailers nationwide in these colours: White, Gold, Red and Charcoal. 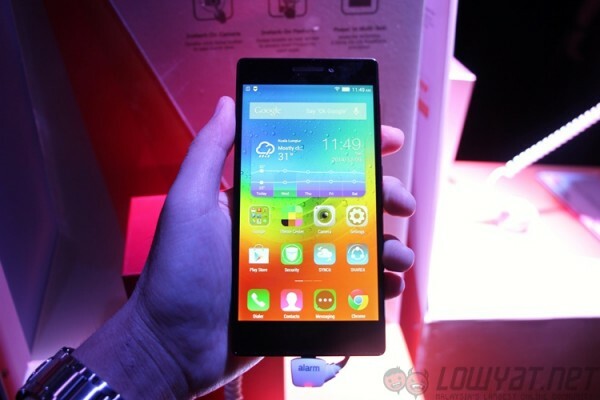 Stay tuned for our hands on post featuring the new Lenovo Vibe X2!